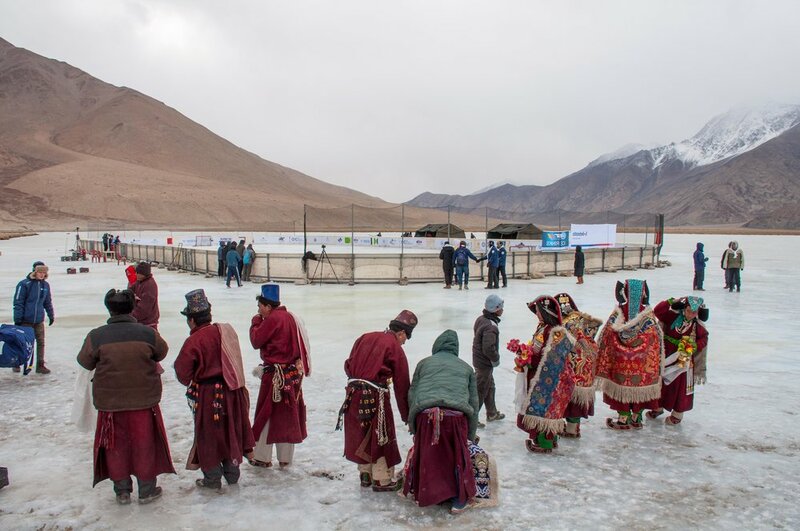 We set the Guinness World Record for the Highest Altitude Ice Hockey Game! 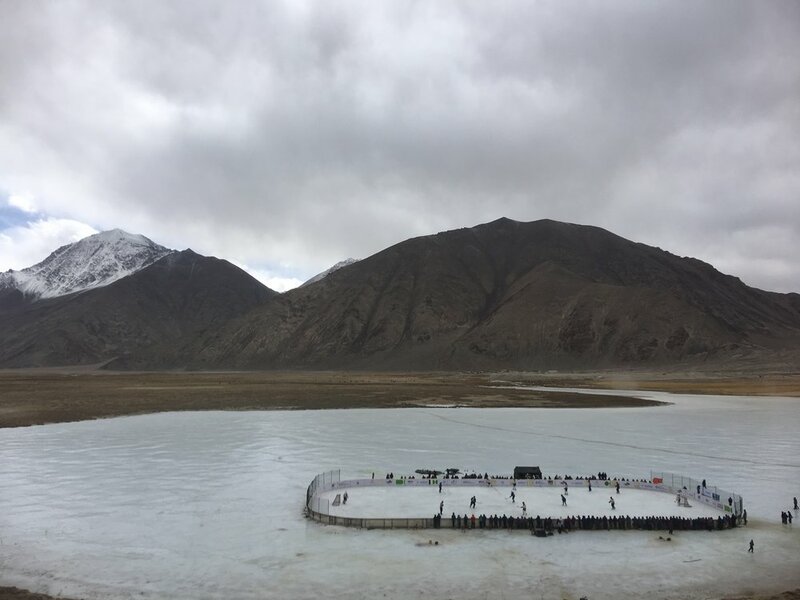 We set the Guinness World Record for the highest altitude hockey game ever played! The video playlist below includes videos from our fundraising campaign, as well as video of the game played, altitude confirmation, and thank you videos to two of our generous supporting partners. There are 7 videos in the video playlist above, including 3 periods, altitude verification, sponsor thank you's. What was this event all about? First and foremost, The Hockey Foundation is a charity. Our global mission is to empower under-served youth, promote social change, peace and prosperity, and support community development through hockey. Pick up this special edition, commemorative puck with The Hockey Foundation’s logo on one side and the Guinness World Records logo on the opposing side. Your purchase of these pucks benefit The Hockey Foundation’s mission to change lives, literally one puck at a time! In order to make Hockey Goes Higher a reality, The Hockey Foundation spent years planning this event. 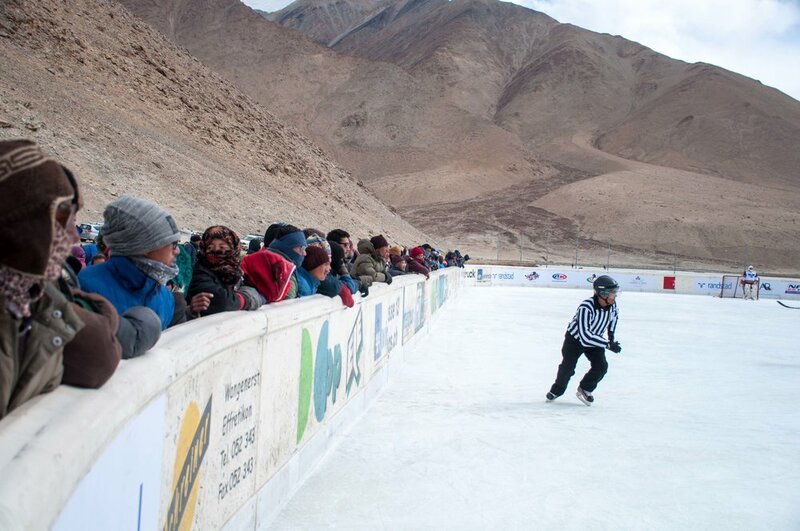 Without the collaboration between THF, Ladakh Winter Sports Club (LWSC) and Geronimo Stars (based in Germany), this event wouldn't have been possible. LWSC helped get the permission to stage the event, and coordinated the transportation and accommodation needs, while Geronimo helped procure the boards necessary for the event rink, without which there would be no record. Those boards have now been donated to the local hockey arena that's been under construction (on-again, off-again) for a decade. These boards will allow the arena to get closer to completion, and once completed, will not only extend the hockey season dramatically, but will also provide employment opportunities in the community that never before existed. Thousands of lives will be positively impacted by the arena becoming operational, and we look forward to supporting the long-term growth and sustainability of the facility while ensuring it remains accessible to all Ladakhis, regardless of circumstances. Beyond the obvious charitable aspects of this event (which also included a donation of approx. 800 pieces of equipment - bringing our total to nearly 8,000), this event made more people aware of the efforts of The Hockey Foundation, which we hope will encourage more individuals and organizations to support our efforts to change lives around the world via hockey. There are still great rewards available from our fundraising campaign for "Hockey Goes Higher" through Generosity.com. Official score-sheet from the record-breaking game between Team Hockey Foundation and Team Ladakh on February 6, 2018. If the spreadsheet doesn't work, you can click here to view the rosters.